Auroch Minerals have wasted no time taking up their option on a large new Lithium permit in Namibia after early reconnaissance work delivered some encouraging assay results and a host of solid markers for a potential Lithium discovery. 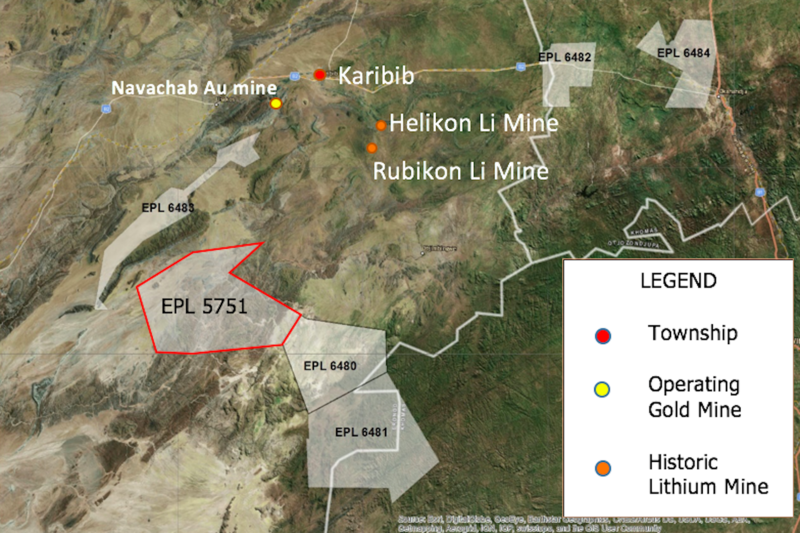 The cashed-up explorer burst onto the Lithium scene in November with the news of its Karibib Lithium project in Namibia, based on applications for five exclusive prospecting licences in the Erongo region, which is at the centre of a massive pegmatite swarm. The permits are near the historic Helikon and Rubikon Lithium mines that have a long history of significant Lithium production. In January, Auroch secured a 60-day option from Namibian based Dynamic Geo-Consulting Services DGS over a 90% stake in a sixth and much larger permit. The Perth-based company announced this week it had converted that option and formed a joint venture with DGS after a review of existing data and first-pass reconnaissance revealed strong potential for high-grade Lithium discoveries. In a statement to the ASX, Auroch reported that samples assaying up to 2.73% Lithium Oxide had been collected during initial field work. Other assay results included 2.64%, 2.54% and 2.34% Li2O. Field visits to date by Auroch geologists had identified Lithium mineralisation at Tsaobis, one of four historical pegmatite occurrences in the permit area. Significantly, mineralisation is in the form of Lithiophilite, an iron-manganese-lithium phosphate that is a marker of Lithium Caesium Tantalum pegmatites that are known for being enriched and highly prospective for Lithium discoveries. Another encouraging result came from Auroch’s review of airborne radiometric data, which suggested the Tsaobis pegmatite extends beyond its mapped locations. The new joint venture is on staged terms that give Auroch plenty of upside with minimal risk. The option was exercised at a cost of only US$30,000 plus the issue of 100,000 Auroch shares. Auroch is manager of the joint venture and will sole fund expenditure until there is a definitive feasibility that supports a decision to mine. Auroch is committed to spend US$50,000 a year on exploration and further share issues will be made when certain milestones are reached. With cash and other liquid assets of $8.3m, Auroch is in a very strong position to hit the ground running in Namibia. An unusually long wet season has delayed the 2017 field season, however Auroch is expecting to recommence work later this month.